1947　Misa Naoki was born in Shizuoka. 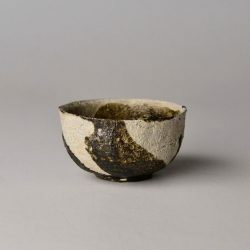 1967　Studied Japanese traditional painting under her father Tomojiro Naoki, who was a painter and a ceramic artist, and her uncle, Sessai Egawa, who was one of foremost painters in Japan. 1981　Established her own kiln in Kamakura, Kanagawa. 1982　Held an individual exhibition at Shibuya Kurodatoen. 2007　Held an individual exhibition at Shibuya Kurodatoen. 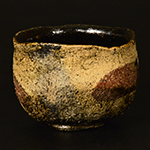 Since then she continuously exhibits her Chawan and Guinomi at yearly exhibition.